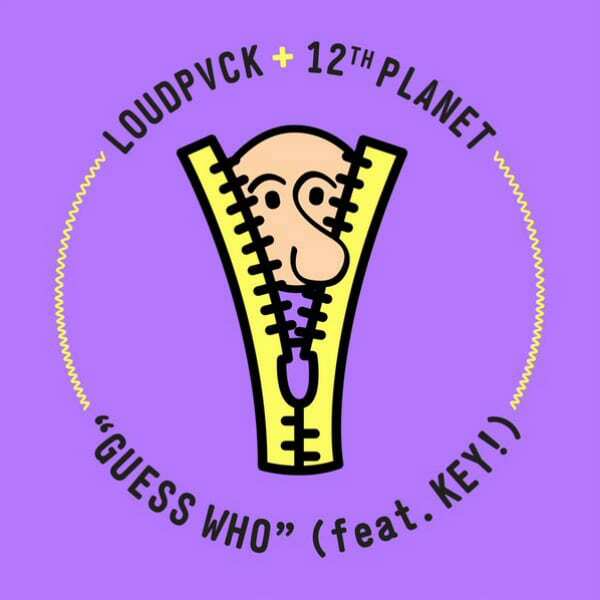 Premiere: Listen to LOUDPVCK and 12th Planet's "Guess Who" f/ Key! When LOUDPVCK aren&apos;t on the road spreading the #HURT gospel, they&apos;re in the lab creating future anthems for the apocalypse. And if you add celebrated bass(ed) DJ/producer 12th Planet to the mix, things get even more turnt. Today, the two acts share "Guess Who," a record that could start a riot when the beat drops. The bass-heavy savagery that takes place here perfectly aligns with Key!&apos;s blunt declaration on the vocals that brings the amazing cover art into focus. When art imitates life. "We wanted to make a song that would start off our &apos;12PVCK&apos; tag team sessions with high energy, so we made this track," 12th Planet told us of the collaboration. "Now it&apos;s a must play in every festival bass music set going into 2016." "We have wanted to collaborate with John for years, and we were about to go on tour together, so the timing was perfect," LOUDPVCK added. "We had the drop finished in about four hours, tweaked a few more things that week, and were playing it out by the time we left for tour. It&apos;s a really accurate amalgamation of our two styles and we&apos;re very excited for everyone else to hear it." #12PVCKSZN is here. Bump "Guess Who" below and grab the single here tomorrow (Dec. 11). Keep up with LOUDPVCK&apos;s concert schedule here and 12th Planet&apos;s upcoming show dates here. Premiere: Listen to LOUDPVCK's Bootleg Remix of A$AP Rocky's "Multiply"
LOUDPVCK x Gladiator - "Nagano"